Your weekend winery visits are about to get a whole lot more convenient. WASHINGTON — If your idea of the perfect weekend involves hanging out in a tasting room at a local winery, your commute to do so is about to get a whole lot shorter. This month, D.C. will welcome its first commercial urban winery at 385 Water St. SE along the Anacostia River. District Winery, from the founders of New York’s Brooklyn Winery, will house an on-site wine production facility, a tasting room, a full-service restaurant, and event space for weddings and corporate functions. As one might suspect, District Winery is not nestled among rows of lush green vines like its more traditional counterparts. 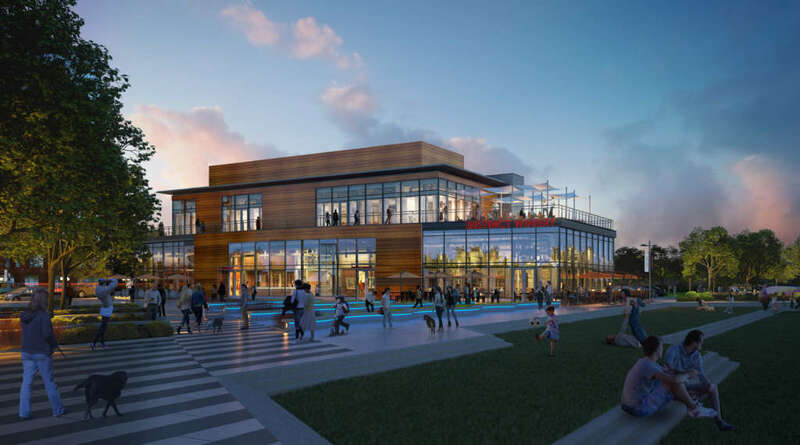 Instead, its surroundings include Bluejacket Brewery, Ice Cream Jubilee and Whaley’s at Yards Park. But co-founder John Stires says you shouldn’t let the landscape deter you. “It’s basically just like any other winery that you’d find out in the countryside or in any wine country. The only difference is that it’s set in an urban environment,” Stires said. Rather than growing its own grapes, the two-floor, 17,000-square-foot winery will source fruit from boutique vineyards around the country, with an emphasis on California regions. Head winemaker Conor McCormack, who has been making wine for 15 years, estimates the production facility will receive more than 100 tons of grapes in the first year to build a broad portfolio of small-batch varietals, including cabernet franc, sangiovese, barbera, viognier and petite sirah. The grapes will be shipped in refrigerated trucks and in “whole clusters” to maintain quality throughout the process. The crushing, pressing, fermentation, aging, blending and bottling will all take place on-site at the winery. “The only difference is logistics and space,” McCormack said. Stires and his co-founder, Brian Leventhal, didn’t start out with a goal to conquer the urban winery industry. The two former internet-startup employees enjoyed winemaking as a weekend hobby and thought other city dwellers might appreciate locally-made vino as well. In 2010, they opened Brooklyn Winery in the borough’s Williamsburg neighborhood. Their decision to expand to D.C. seven years later has a bit to do with the District’s more relaxed laws, which allow production facilities to serve its product in an on-site restaurant, and also with the city’s growing gastronomic reputation. 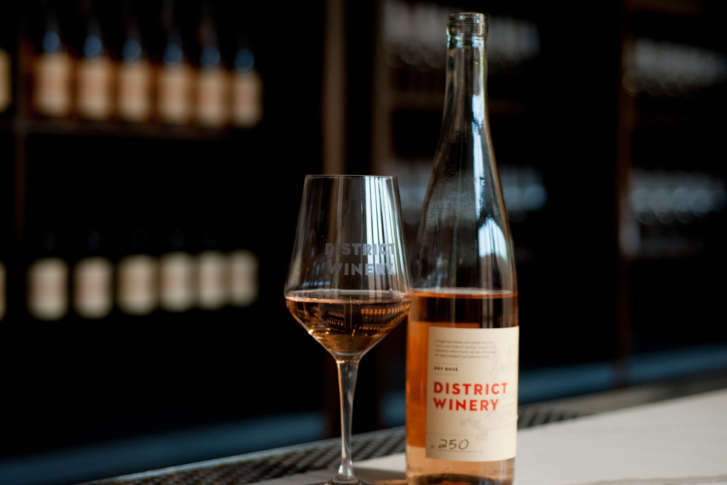 District Winery’s wines can be sampled in small pours and flights at the tasting room bar; bottles and cases will also be available for purchase. Weekend tours will be offered starting Sept. 9, giving visitors a behind-the-scenes peek at how it’s all made. “Fall is a really great time to come in and do a tour of the winery because we have a lot of great action,” McCormack said. The restaurant, Ana, named after the Anacostia River, will serve new American fare for happy hour and dinner. Brunch and lunch are forthcoming. 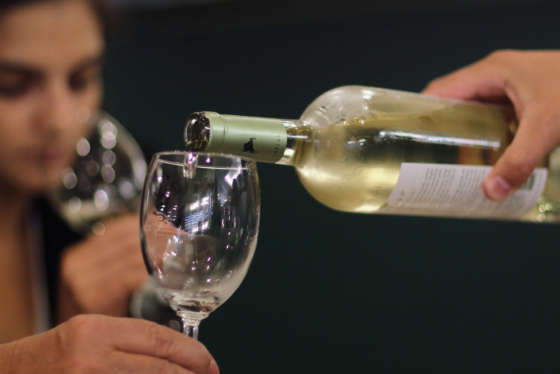 “This has been three years in the making for us, so a lot of hard work has gone into it for us and a lot of effort by a lot of people, and we think people are going to be very excited to have this new outlet to drink wine and eat some nice food,” Stires added — all along the growing Anacostia waterfront.